I'm a Whovian. A new Whovian, but a Whovian, nonetheless. I never thought I'd be into it, but one day I was bored and was on Netflix and thought I'd give it a whirl. Several hours later, I'd finished the first season. (Yes, I watched an entire season in a day) The following seasons didn't take me much longer, since I devoured each episode in whatever free moments I had, sometimes staying up well past my bedtime. It's cheesy, yes, but in a marvelous way, and have a mentioned David Tennant? Deliciously, adorably nerdy. By far my favorite Doctor. Anyway. As other nerds know, yesterday was the Day of the Doctor, the 50th anniversary of the Doctor Who series. I have been making nail art, but for some reason, I rarely get around to posting it! :( I'm making a serious effort to change that, I promise! 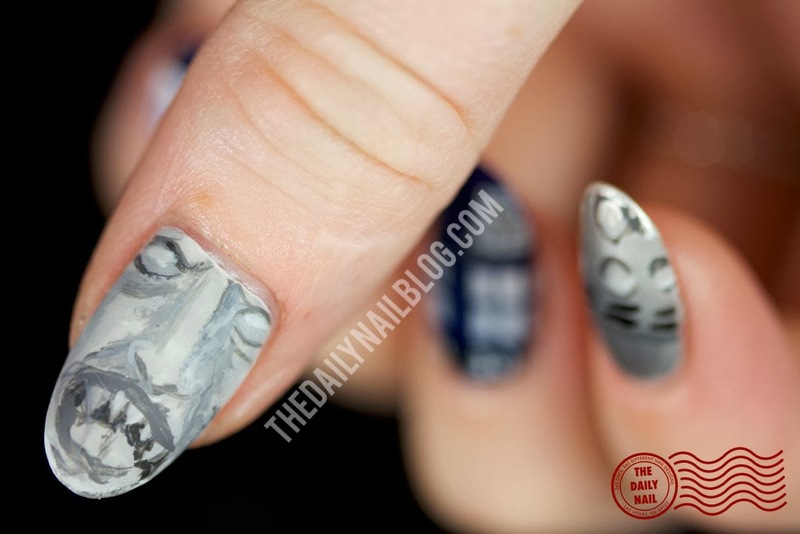 :) Today I'm starting with showing you my Doctor Who manicure, featuring the TARDIS, the Silence, a Dalek, a Weeping Angel (don't blink), and the Doctor Who logo. 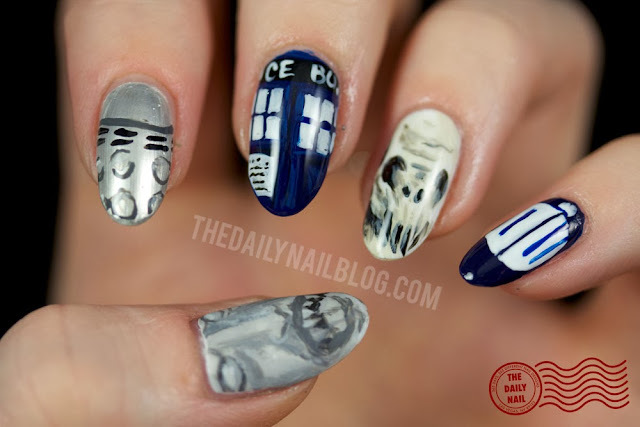 Are you a Doctor Who fan? Who is your favorite Doctor? Companion? Tell me in the comments below! 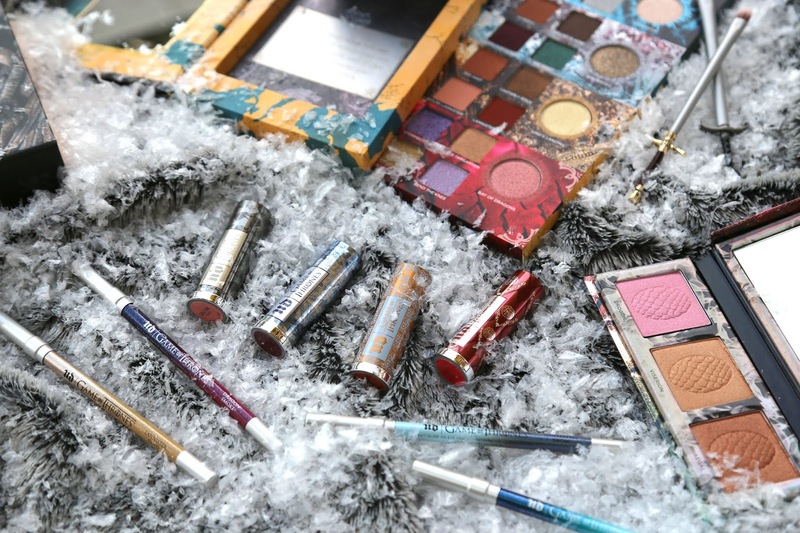 My inner nerd just screamed out loud when I saw this in my blogger feed hehe. I am a Whovian and everything Dr.Who hehe.. Thanks for sharing this great! This is amazing!! David Tennant *is* deliciously nerdy...but I love Matt Smith, too. My hubby and I have watched all the episodes starting with the very first one from 50 years ago! Dude! This is awesome! The monster looks especially cool. This is one of the best DW mani's ive seen for the 50th - and good to see you posting again! I was screaming on the inside when i saw this!!! I am a complete Whovian and was so excited for the 50th!!! Loved this so much!!!! 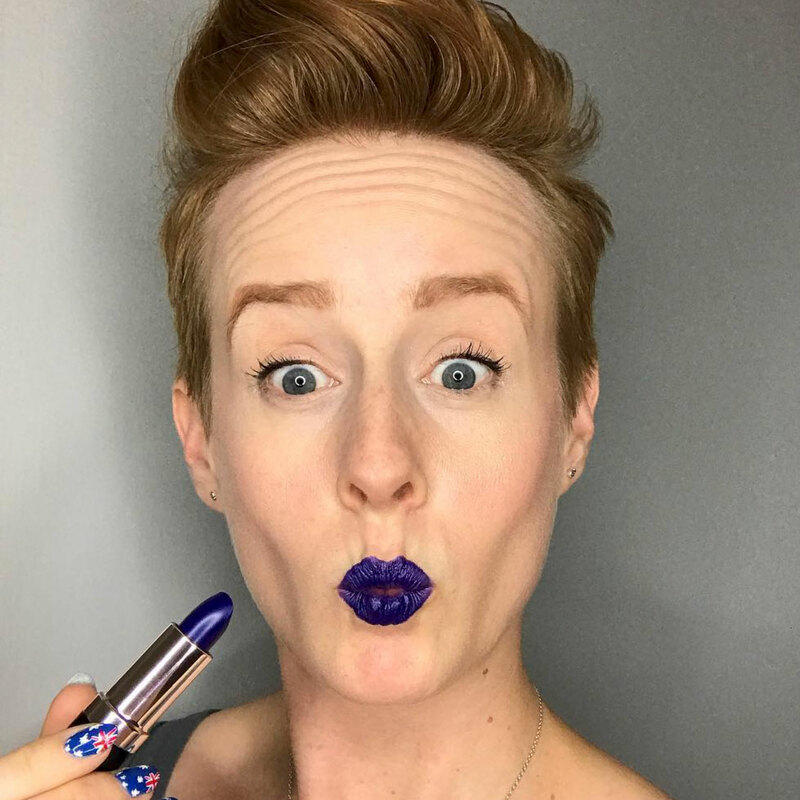 Good to see a new Whovian on the block! also yes.... David Tennant is the Best! I love u for this!!! Amazing nail art! I can't get the hang of painting tiny details like that, especially with my left hand. 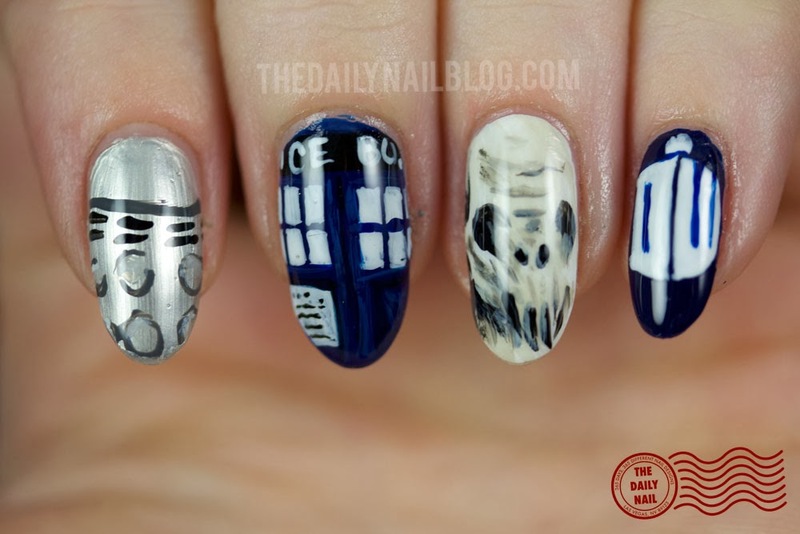 The TARDIS nail is pretty awesome.